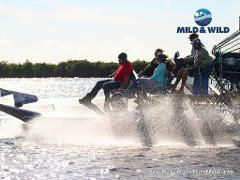 Rich with scallops and teaming with wildlife, Citrus County is one of the last places in Florida you can collect scallops. 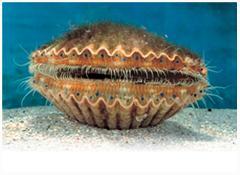 Scallops are fun to find, delicious to eat and this tour make makes for an awesome day of adventure. 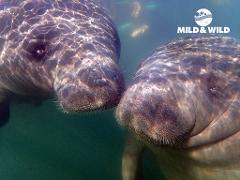 Homosassa is famous for one thing……MANATEE!! 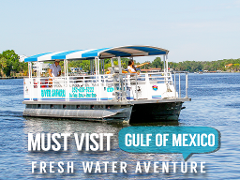 Join us at our Safaris location to get away from the bustling Crystal River area and enjoy a quieter option at the Blue Waters of the Homosassa head springs. 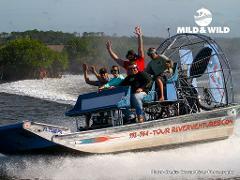 This 4 hour tour is perfect for your small group! 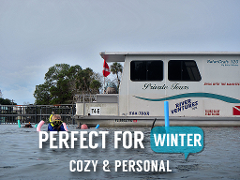 Our cozy houseboat seats up to 6 guests, is fully enclosed, and heated with a bathroom. 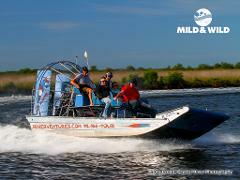 Join us at our Safaris location to get away from the bustling Crystal River area!